Bicycle Transit Systems has paved the way for bike share in the United States, as our leaders have launched bike share systems in almost every major American city. 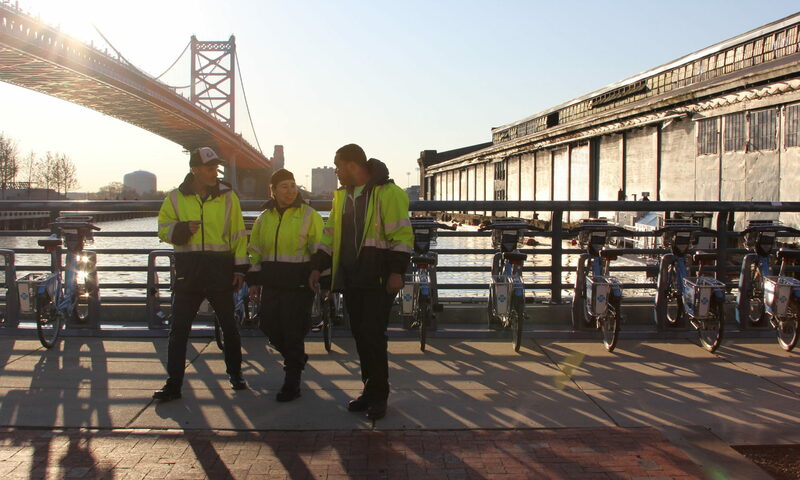 We currently have over 100 employees, operating four major systems: Los Angeles' Metro Bike Share, Philadelphia's Indego, Las Vegas' RTC Bike Share and Oklahoma City's Spokies. 365 days a year, 24 hours a day, our dedicated staff maintain bicycles to be safe and smooth, service customers and get more people riding bikes. Our hallmarks are innovation, equity and operational excellence. Bike Transit launched the first member-incentivized rebalancing program, the first cash payment system, the first and deepest transit integration. Our Philadelphia system has developed industry leading equity efforts. And all of our systems have the same mark of safe, clean bikes and stations, maintained with the utmost care and professionalism. We imagine a world where there are more bikes on streets than cars and a bike share program in every city. It takes hard working, passionate, sometimes quirky and mission driven people to make this happen, and we are lucky to have people like this managing, promoting and operating our programs.